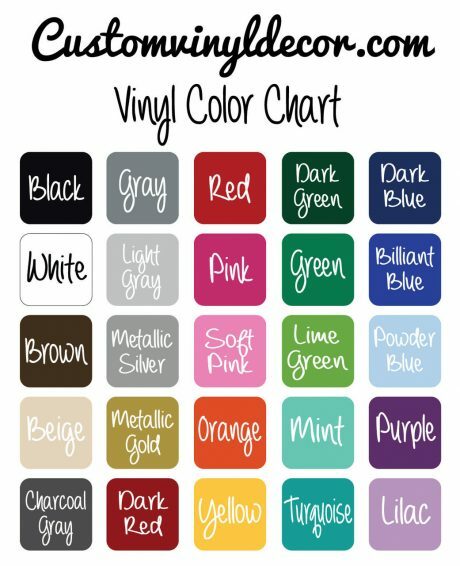 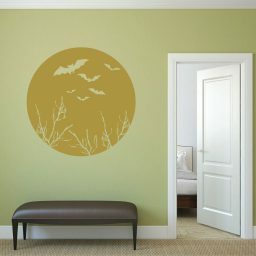 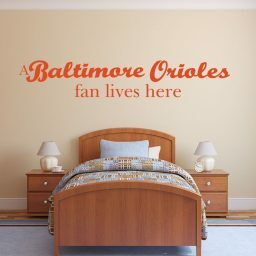 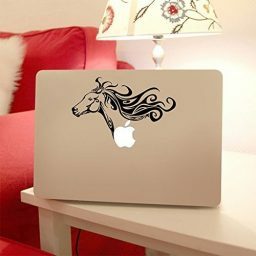 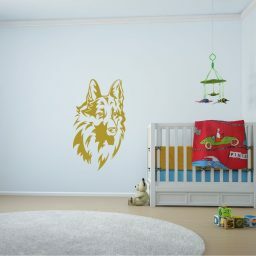 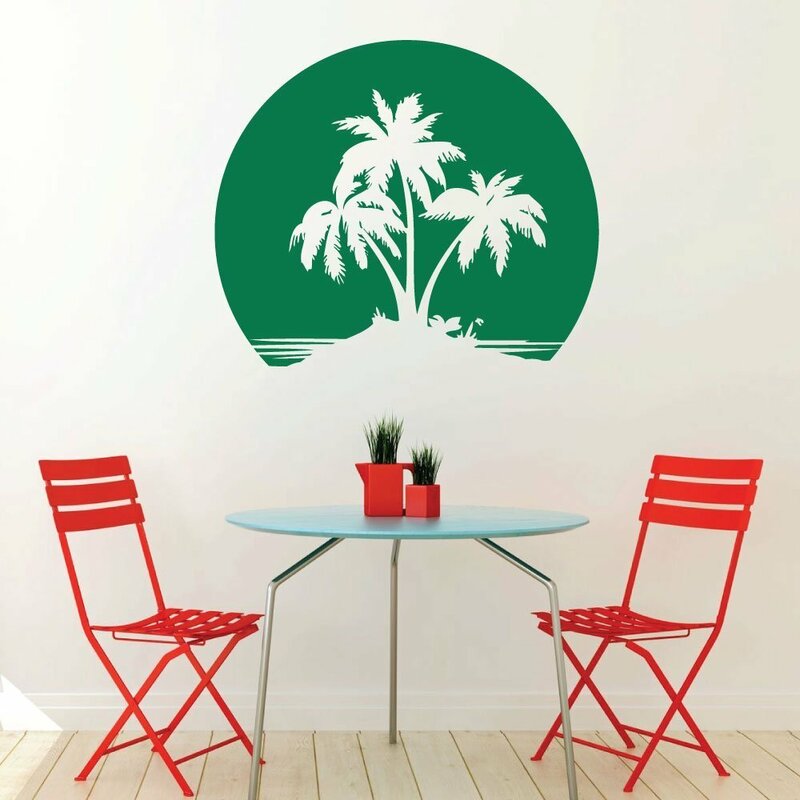 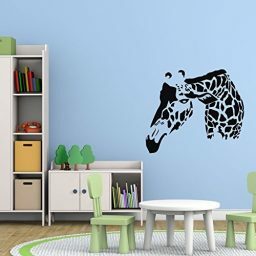 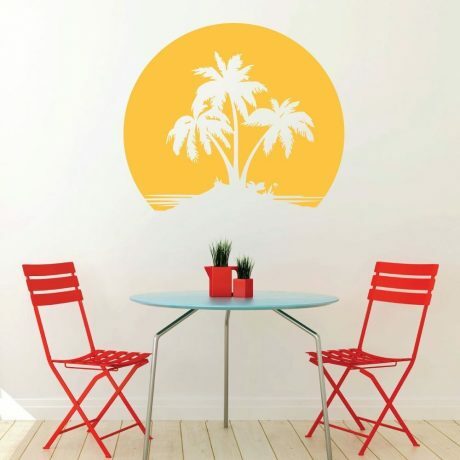 This Beach Wall Decal is the perfect addition to any room decorated with a beach theme. 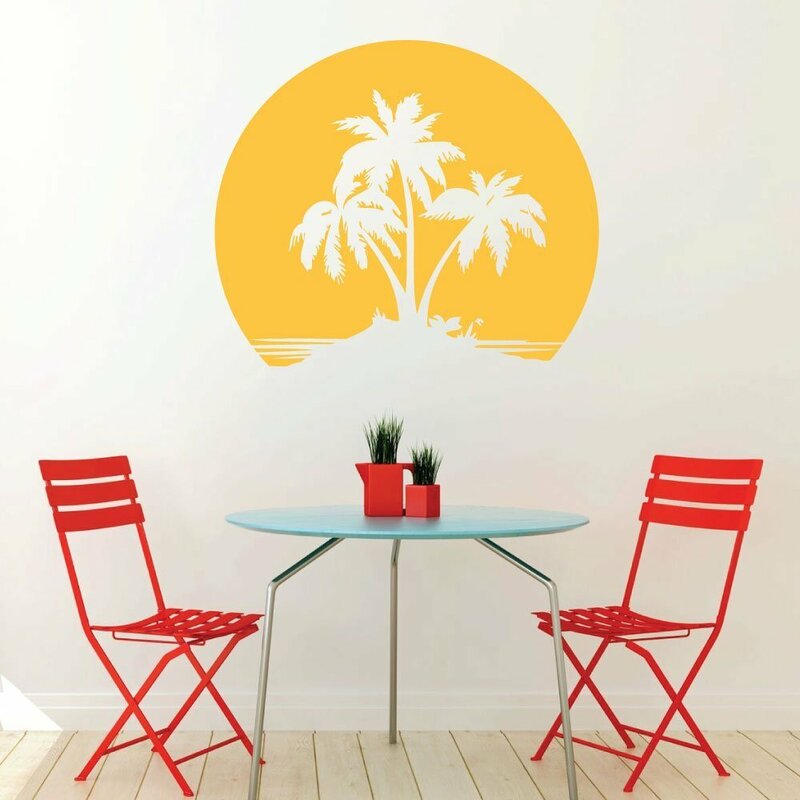 Bring the feeling of the beach home in your bathroom or dining room. Also a great office decoration. 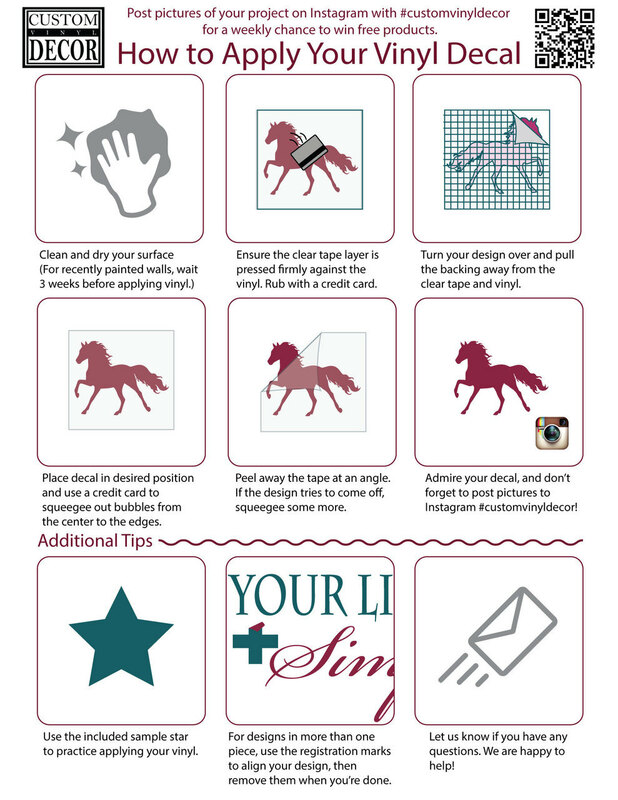 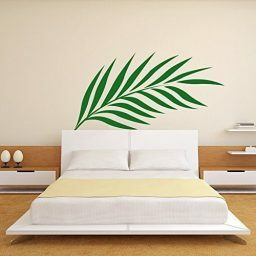 Put this palm trees with a sunset backdrop decal anywhere you want to be reminded of the relaxing feeling of being on a beach.